How To Construct a Timeless Pair Of Shoes — KOCH & CO. In order to make a timeless pair of shoes, there are a number of factors that need to be managed correctly. The first is the craftsmanship and level of expertise of the shoemaker. The shoe industry is at a crossroads. The tradition and art of shoemaking is dying out as more and more brands outsource their shoe production to capital intensive factories in China and South East Asia. The focus tends to be on quantity, and not quality. The average life of shoes are getting shorter and machine made shoes lack the expert eye of a seasoned artisan. The second factor is the quality of the leather and shoe components. It is best to use full grain leather, as it has a much more durable and natural finish when compared to corrected grain leather. Full grain leather develops a beautiful patina over time, and when shoes use good quality leather, they actually begin to look better the more you wear them in. The tanneries in Kanpur and Ranipet produce extremely high quality leather, with hides sourced from around the world. Leather from Ethiopia and parts of Europe are very popular in the industry. Argentinian leather is considered one of the best in the world as it is very well suited to make leather soles. Quality shoe components are also equally important because they are essentially the skeleton of the shoe. The insole and shanks are the spine that hold the shoe together and give it shape. The welt is the meeting point for the shoe upper and the sole, so it is important to tightly control it’s quality. High grade masonite is highly recommended for making heels since it has a strong and consistent internal bond. Also, masonite heels have a beautiful finish and a natural wooden look. Germany, Austria, Italy and Slovenia are some of the best places in the world to source shoe components due to their scientific processes, R&D and tight quality control. Finally, the construction is the recipe that allows all the other ingredients to work so well together. Goodyear welted is arguably the best construction to use. Although it is a time-consuming process, the benefit of a shoe which is made using the Goodyear welt construction is that the shoe can be resoled repeatedly, giving the shoe a lifespan of years, sometimes even decades. The nature of this shoe construction means that Goodyear welted shoes take longer to manufacture than cheaper alternatives, and requires the use of skilled labour. 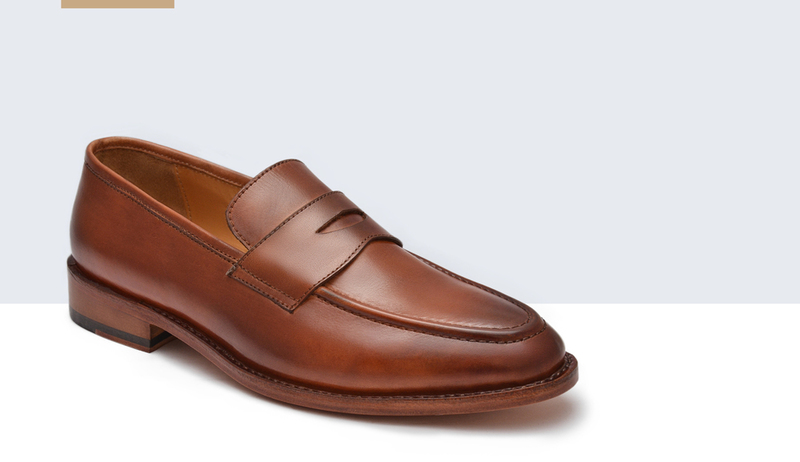 Tip: When you are choosing a pair of quality dress shoes, it is important to consider the design you choose. With proper care and attention proper shoes can last you a lifetime so a classic silhouette that won’t look dated quickly is always a better investment.